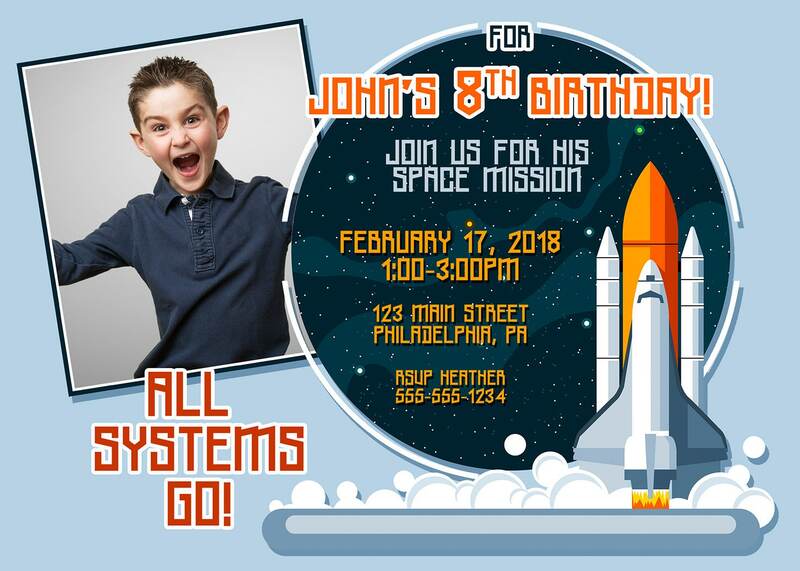 This package consists of invitations for a space rocket birthday party in your choice of your choice of size, 4x6 or 5x7. Your order is delivered as a digital file that you can print yourself at home or take to a local store - these can be printed out as photos at places like Walmart, Target, CVS etc., or on cardstock at Staples, Kinkos, etc. 5. 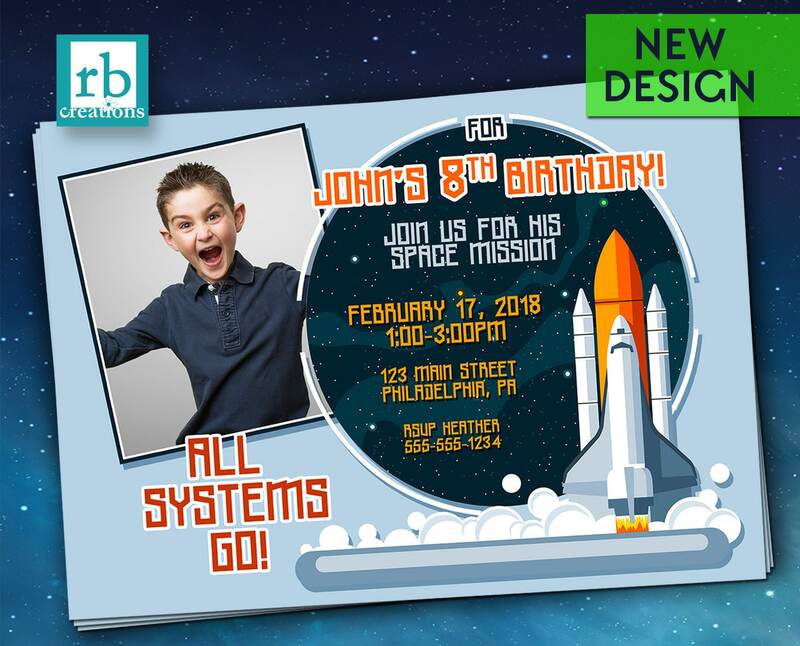 Send your photo via rbcreation [!at] comcast.net - PLease mak sure it is high res and will fit in the space aloted on the invite. Interested in more PARTY SUPPLIES and ACCESSORIES? Check out the many items available from our shop!